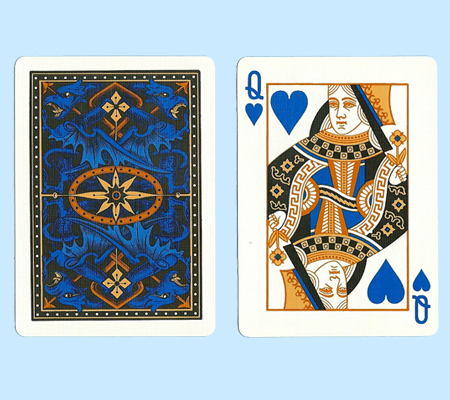 These Dragon Bicycle Playing Cards feature an intricate blue Dragon design that was luckily retrieved from the manufacturers archives. Each Bicycle Dragon deck features a mirror image blue dragon design on the card backs and color coordinated face cards. One double back card is included in each deck. For more information or volume pricing on Bicycle Dragon Playing Cards, please contact us at 1-800-233-0828.